Our favorite gators are ready to party in New Orleans. 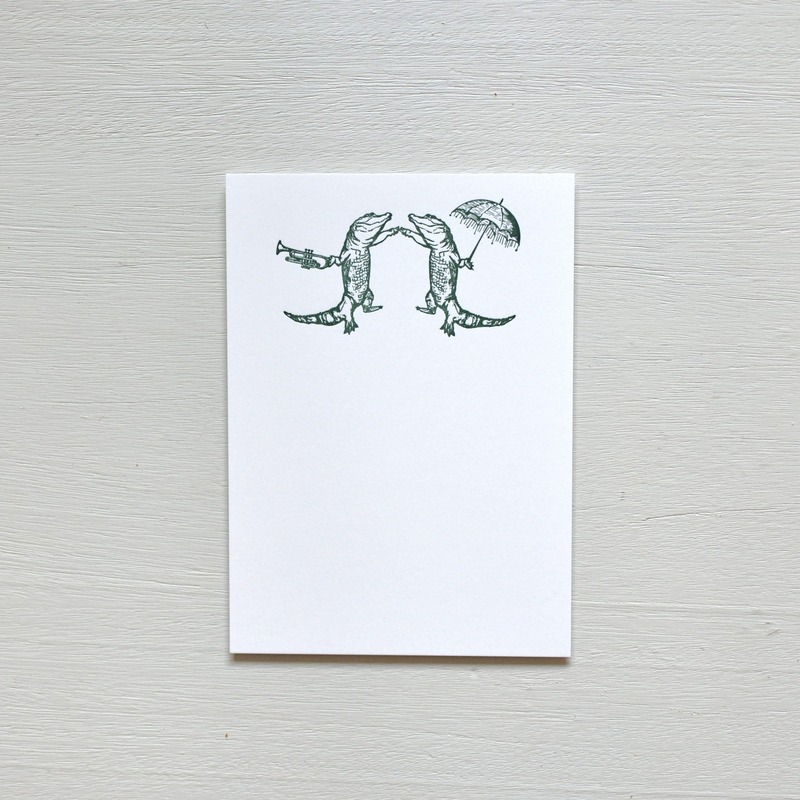 The green gators are letterpress printed on white cotton 5 x 7″ flat cards. These gators are perfect for thank you notes or invitations. Package of ten cards and envelopes.